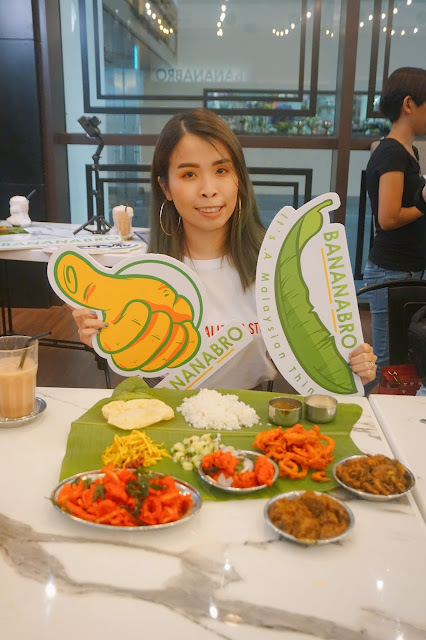 Bananabro is definitely your new favorite banana leaf restaurant that’s modern, authentic and best of all, perfect for get-togethers with your friends and family over fresh and hot meals with flavors that pack a punch! 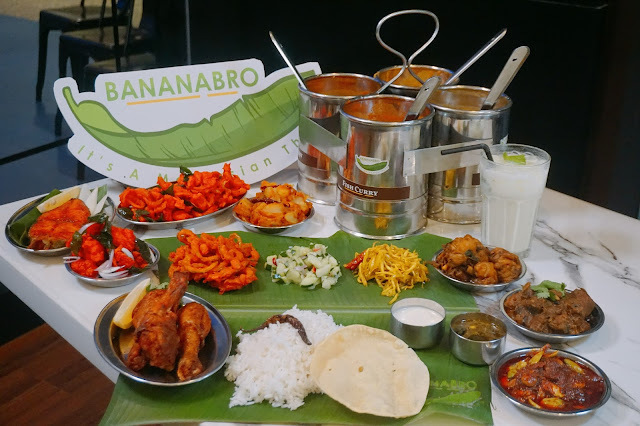 Taking inspiration from India’s streets, arts and cultures, Bananabro elevate all our dining experience giving you're a taste of its authentic southern region through modern and contemporary touches in our decor dishes and drinks. Their first outlet is located at Berjaya Times Square, opened on March 5th 2018 and their second outlet will open at The Gardens, Midvalley soon by year end. The simplest way to say it is you put rice on a banana leaf and of course it goes much deeper than that. 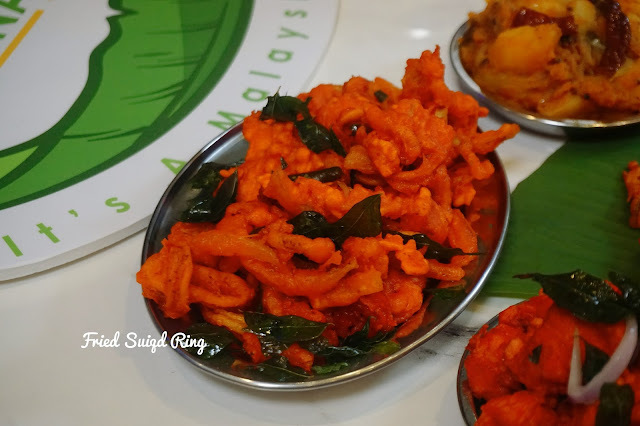 First, you will need a rice on a banana leaf, not forget about rasam for appetizer and yogurt that is good for digestion. 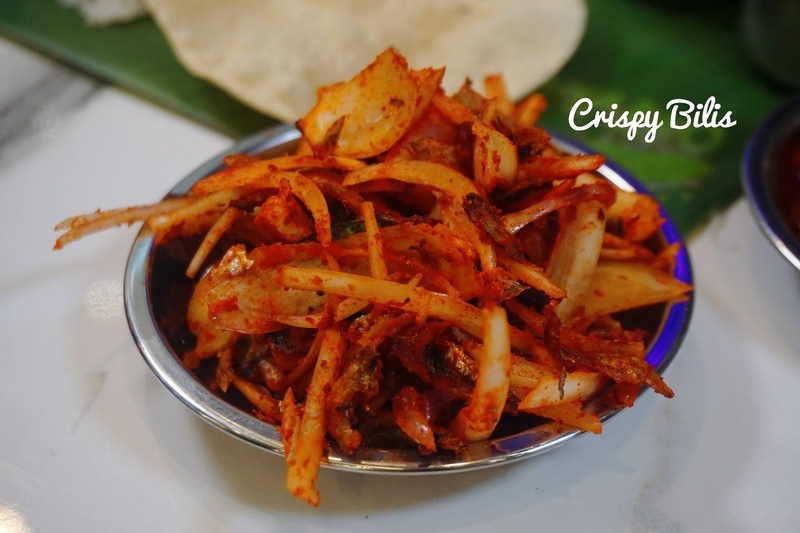 Adding on with some papadom for more crunchy texture, also with 3 side veggies too. Lastly, in Bananabro they have a total of four type of curry best served together with the rice. In Bananabro, you get to sit in a spacious dining space which I really like. 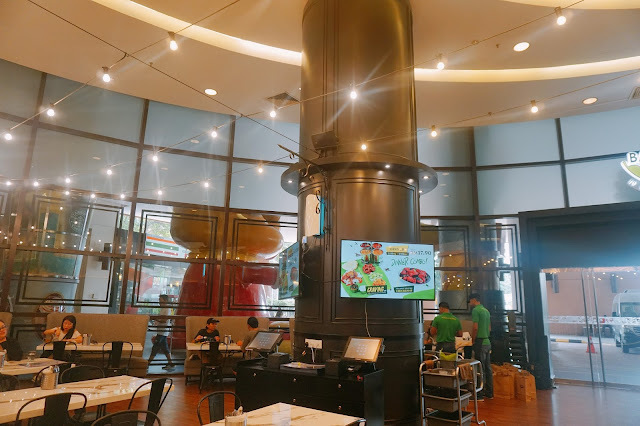 It is located at the East Entrance of Berjaya Times Square. If you are in the mall, just try to locate Hero Market and walk to the end near to the Bus Ticket counter. You can always park your car near to the East side too! 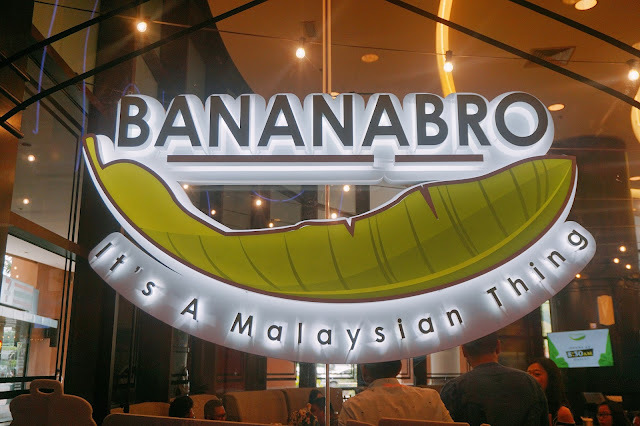 All of their banana leaves are also stamp with their BANANABRO logo too. Here's come their Banana Leaf Rice set with only RM12.90! With just only one price, and you can refill all the refillable dishes such as curry, veggies, rasam, yogurt, and papadom. Here's are their 4 curries for you to enjoy with their Banana Leaf Rice! 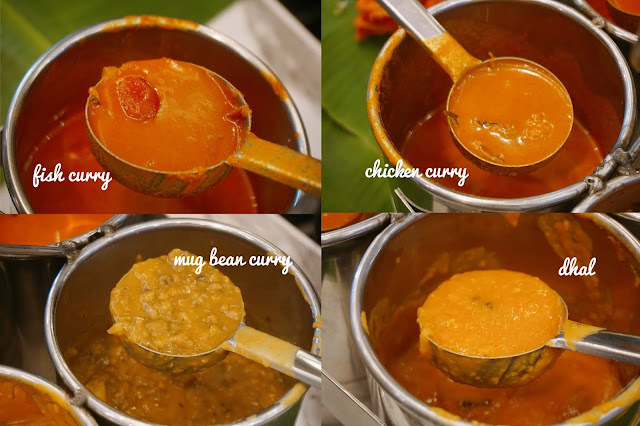 Mug Bean curry is really delicious and special to try. It was cooked with green bean and curry together. 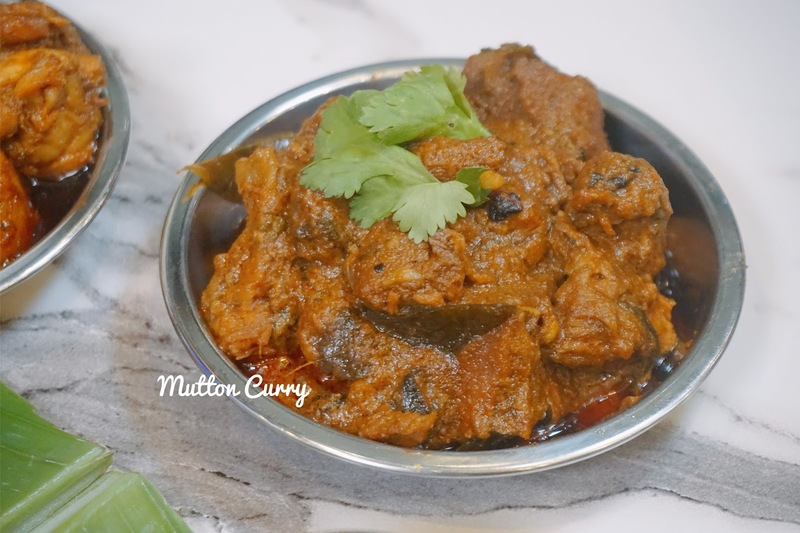 It makes the curry looks so thick and really yummy too. Mung Bean Curry can help lowers your cholesterol, it also contains high source of proteins, vitamins, and minerals too. 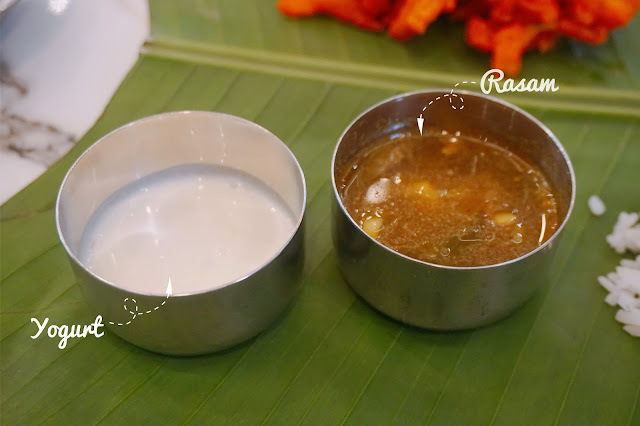 Yogurt to help tones down the spiciness and Rasam, salty and sourish soup that help improves digestion. 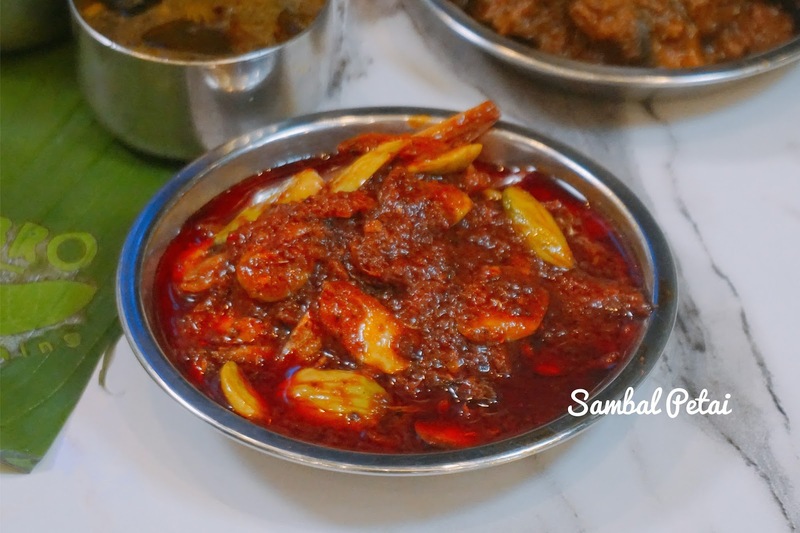 In Bananabro, they also cook different chicken and mutton dishes daily. This is to let customer enjoy different varieties of meat daily as well. 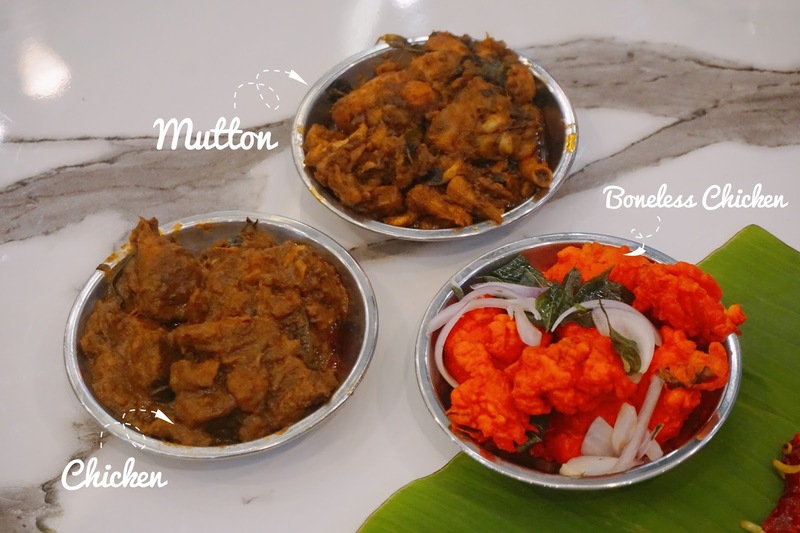 Their mutton and chicken both are so tender and soft. 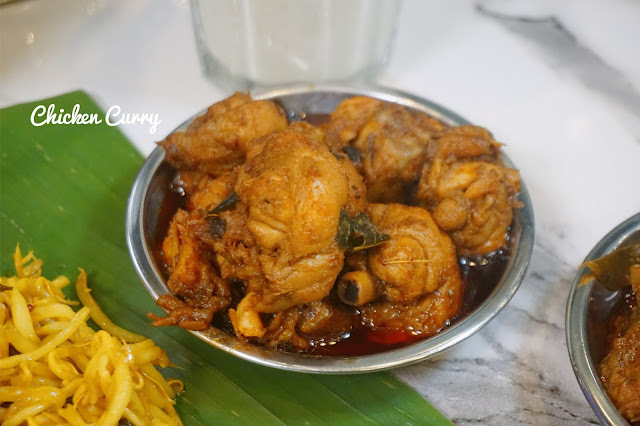 I really enjoy all their meat dishes, each of the curry dishes is cook with herbs and comes in really nice fragrance smell of curry too! 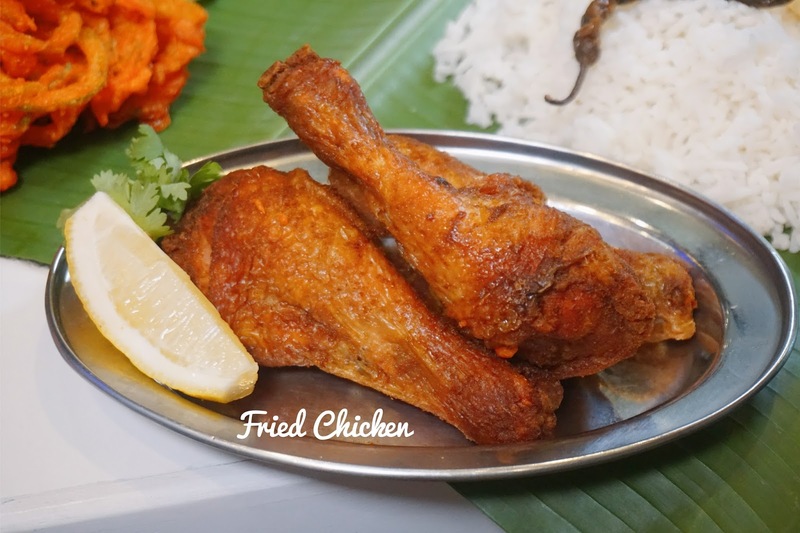 Especially their Chicken 65, it tastes so good and soft too. With a dip of yogurt, it tastes even better. Sour and Savory taste in just one bite! One of their signature drink here. 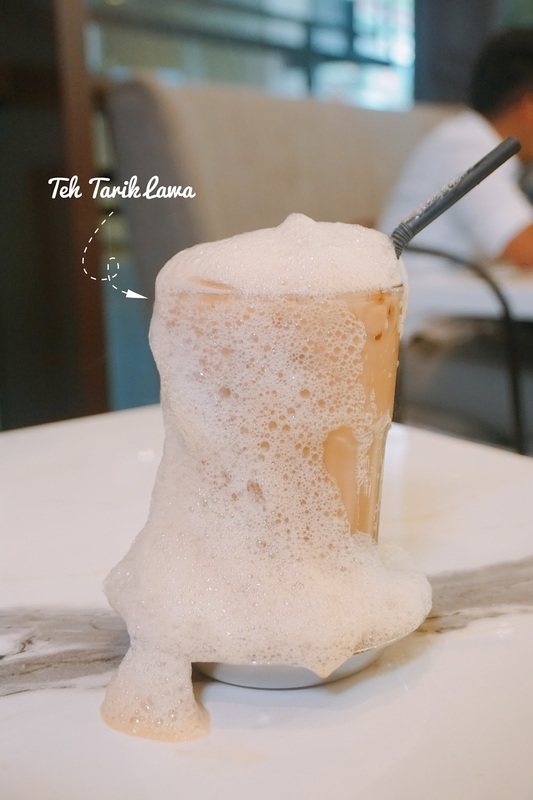 Every one of us loves this Teh Tarik Lawa, it not only looks pretty but tastes good too! Compare to the normal teh tarik drink, this drink is not too sweet or heavy for me. It just balances out the sweetness of the Teh Tarik. It was rare for me to actually love Teh Tarik so much! My first try on Lassi drink! 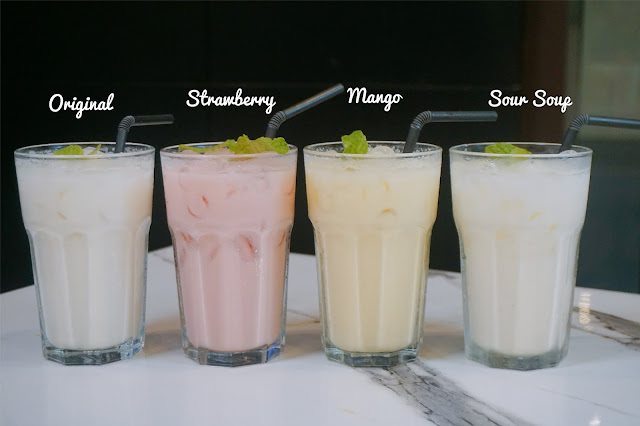 In Bananabro, you can enjoy 4 kinds of Lassi drink from original flavor to soursop flavor too. My favorite was Original and Strawberry. Not everyone loves the sour taste of Lassi but for me, I kinda love to drink sour and cold drinks. It is so refreshing and chilling too! Enjoying my Banana Leaf Rice set! I gonna show you guys some of other Ala Carte dishes you can add on with your Banane Leaf Rice set. 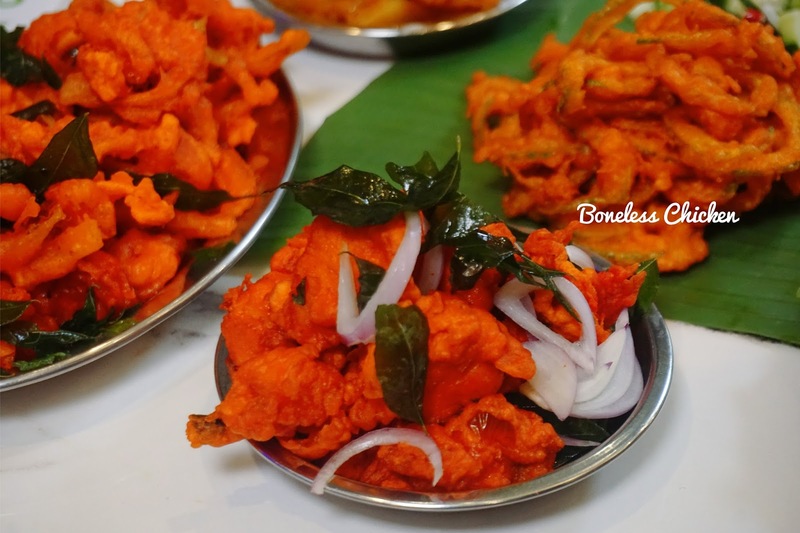 Indian spices actually contain a lot of health benefits, Tumeric which helps to boost skin health and fight inflammation. Black Pepper which can prevent asthma and lowers blood pressure. Cardamom helps protects heart health and help detoxifies the body. Cloves help protects the liver and boosts the immune system. Lastly, Cinnamon can helps fight allergies and boost skin health. 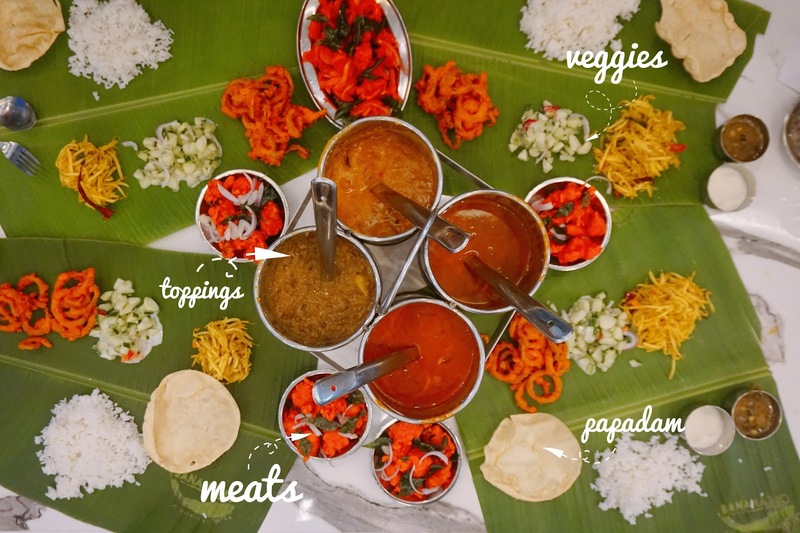 I never thought of eating Banana Leaf Rice and Indian Spices comes with so many health benefits. Not only that, the dishes all are so delicious too! I never felt so satisfying enjoying all these yummy Banana Leaf Rice dishes. Now I can head to Bananabro for more Banana Leaf Rice! 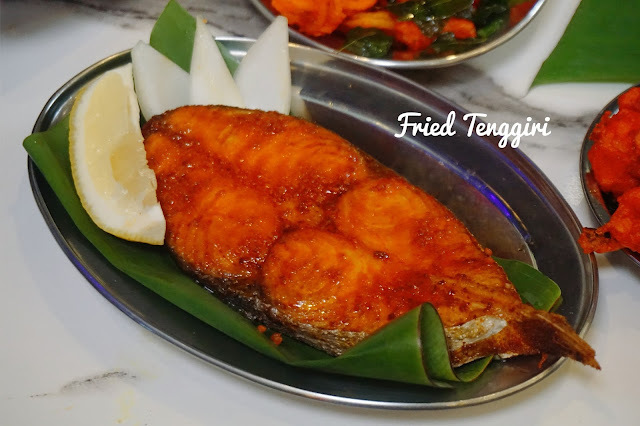 We ask why It's a Malaysian Thing? 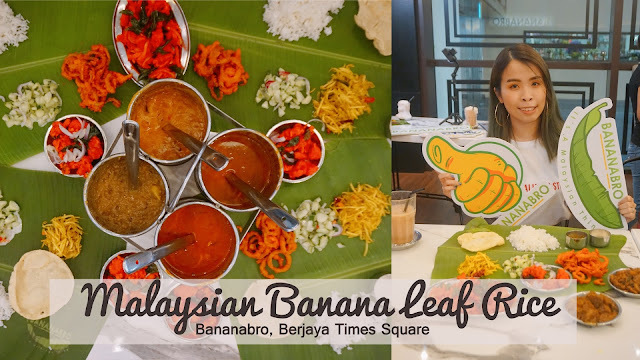 BANANABRO say because Banana Leaf Rice is something that Malaysians of every race and walk of life can enjoy, it’s something that they love. 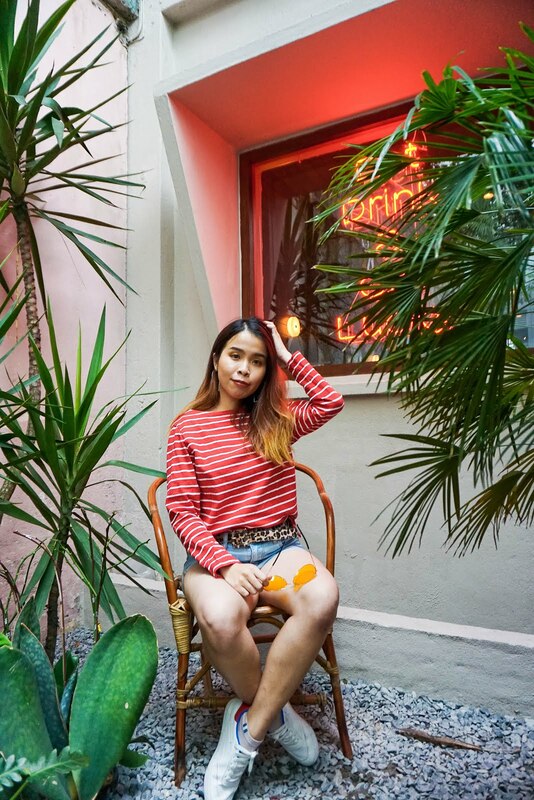 It’s a Malaysian thing. The crispy anchovies is mouth watering indeed. 😋 and for them to stamp their own logo on the banana leaf itself is something I've not heard before. Yes really making me feel hungry now! I rekindled my love for banana leaf rice lately. This sounds like one place I can patronise when I am in KL. 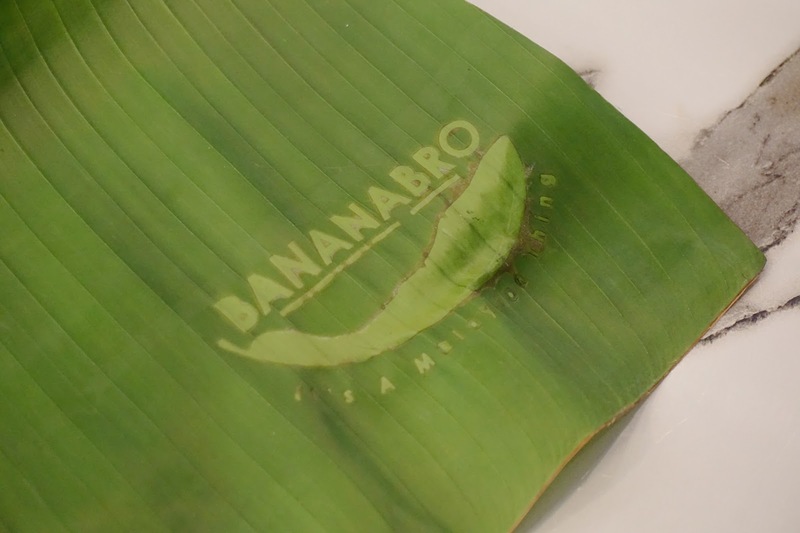 I love how they printed their logo on the banana leaf! So classy! At least this version of banana banana leaf meal look well presented. Comfy environment too. Oh yes. Now can eat with no anxiety about its cleanliness hehehe. The food look very well presented and that Teh Tarik Larva is so inviting!